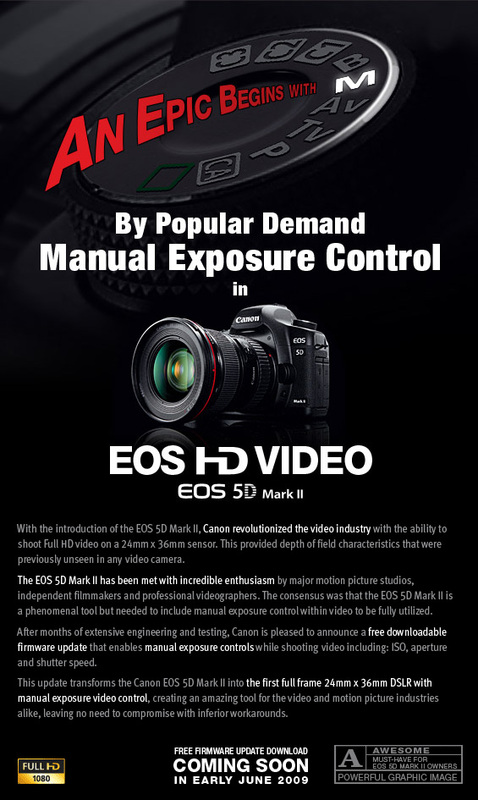 Canon announces a new firmware update which provides full exposure controls while recording video – HUGE news for DSLR video makers. The Photo Marketing Association’s Annual show – PMA 2009 – recently came and passed. For those of you who don’t know, PMA is like the E3 of photography, where companies making everything from cameras to printers bust out the goods and new releases. It, along with the bi-yearly Photokina in the Fall, are when the majority of product announcements come out. Depending on the market segment you were interested in, this year’s PMA could have offered a healthy bounty, or simply have been a dud. If you were in the DSLR market, there was barely anything new emerging on the landscape. Neither of the big two – Canon and Nikon – released any new DSLRs, with just two specialty tilt-shift lenses from Canon and a “normal” APS-C prime in the new 35mm f/1.8 AF-S DX from Nikon making headlines. Pentax, in what seems to be an ongoing niche market they’re targeting, came out with a 15mm f/4 pancake. And Sony, surprisingly, produced nothing of note. 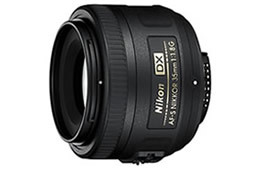 For the Nikonians out there, the new prime is an encouraging sign that Nikon is finally getting with the program and pumping out AF-S lenses for its entire range. For one, this gives a modern and fast-focusing midrange prime for APS-C crop users, which will finally provide an alternative and offer some competition to Sigma’s 30mm f/1.4 DC HSM which was previously the only lens in this market segment. Canon still lacks a real solution for this range, forcing users into the bigger and much more expensive 35 f/1.4 L.